The International Scientific Panel of the OSE group constitutes a basis for international collaboration. It consists of five renowned senior researchers: Professors Ignacio Grossmann (Carnegie Mellon University, USA), Efstratios Pistikopoulos (Imperial College London, UK), Leo Liberti (École Polytechnique, France and IBM Research, USA), and Montaz Ali (University of Witwatersrand, South Africa). Prof. Ignacio Grossmann is the Rudolph R. and Florence Dean University Professor of Chemical Engineering, and former Department Head at Carnegie Mellon University. He obtained his BSc degree in Chemical Engineering at the Universidad Iberoamericana, Mexico City, in 1974, and his MSc and PhD in Chemical Engineering at Imperial College London in 1975 and 1977, respectively. After working as an R&D engineer at the Instituto Mexicano del Petróleo in 1978, he joined Carnegie Mellon in 1979. He was Director of the Synthesis Laboratory from the Engineering Design Research Center in 1988-93. He is director of the “Center for Advanced Process Decision-making” which comprises a total of 20 petroleum, chemical and engineering companies. 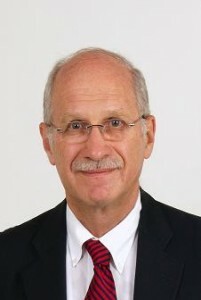 Prof. Grossmann is a member of the National Academy of Engineering, Mexican Academy of Engineering, and associate editor of AIChE Journal and member of editorial board of Computers and Chemical Engineering, Journal of Global Optimization, Optimization and Engineering, Latin American Applied Research, and Process Systems Engineering Series. Prof. Grossmann has received a great number of awards and honors. He was named one of the “One hundred engineers of the modern era” by AIChE in 2008, and is one of the most cited authors in computer science and chemical engineering. He is doctor honoris causa at University of Maribor, Slovenia and Åbo Akademi University. During his career he has published in total over 350 publications and graduated over 40 PhD students. Prof. Pistikopoulos is a professor at the Department of Chemical Engineering at Imperial College London. During the years 2001-2009, he was also the director of the Centre for Process Systems Engineering. His research interest covers a very broad field of mathematical programming. In connection to the work in the OSE group, his reformulation techniques for optimization problems with partial differential equation constraints are of special interest. He has authored over 300 major research journal publications in the area and is recently also coediting a book series of which Volume 7 is the most recent one: Banga J. R., Georgiadis, M. C. and Pistikopoulos, E. N. Dynamic Process Modeling (Wiley-VCH 2010). 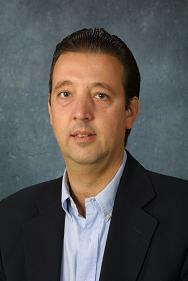 In 2007, Prof. Pistikopoulos was a co-recipient of the prestigious Mac Robert Award and Gold Medal from the Royal Academy of Engineering; in 2008 he received an Advanced Investigator Award from the European Research Council, and in 2009 he delivered the Bayer Lecture in Process Systems Engineering at Carnegie Mellon University, USA. He is the recipient of the 2012 Computing in Chemical Engineering Award of the Computing and Systems Technology (CAST) Division of the American Institute of Chemical Engineers (AIChE). 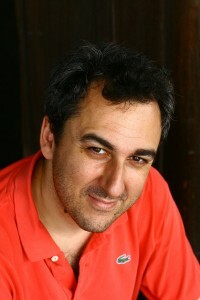 Leo Liberti has a PhD in optimization from Imperial College London, UK. He was a professor at École Polytechnique (Paris) until 2012, as well as a vice-president of his department, and is currently a researcher at IBM Research. He has published more than 150 research papers on mathematical programming, global and combinatorial optimization, distance geometry, bioinformatics, and industrial systems applications. He is also the author and editor of several books in optimization including “Distance Geometry: Theory, Methods and Applications” coedited with A. Mucherino, C. Lavor and N. Maculan, Springer New York, 2013, and “Global Optimization: from Theory to Implementation” coedited with N. Maculan, Springer Berlin, 2006. Montaz Ali completed his PhD in global optimization from Loughborough University, UK, in 1994. He worked as podoctoral fellow in Engioneering Design Centre, Plymouth University UK, and Turku Centre for Computer Science, Abo Akademi, Finland during 1995 and 1996 before joining Computational and Applied Mathematics, University of the Witwatersrand. At present he is a research Professor in the Faculty of Engineering, University of the Witwatersrand, Johannesburg.